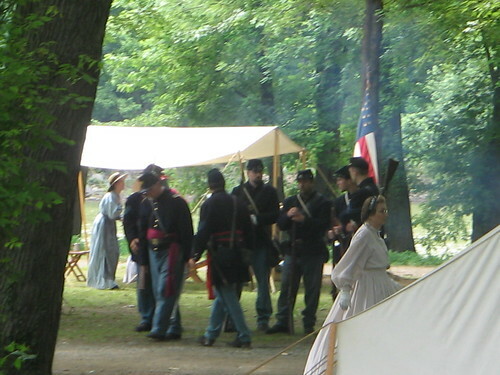 There were Civil War reenactors there, too, camped out in tents by the rails between the Lower Town and Virginius Island. 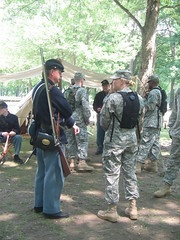 One of the best scenes of the day came when a group of Army personnel in fatigues (possibly with the Army band, who were playing that day) dropped in on the Union troops to talk history. Soldiers from the future! We were not able to visit Harper House or John Brown’s fort. 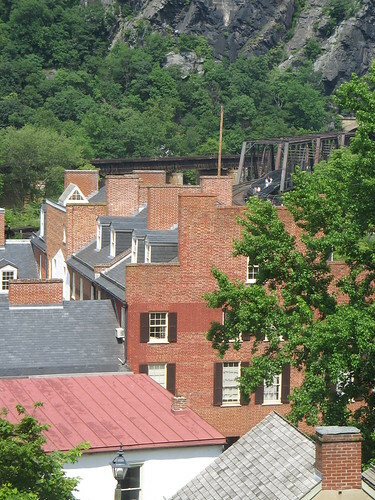 One day I will return to Harpers Ferry one day to linger a bit longer in the town and bask in its history. 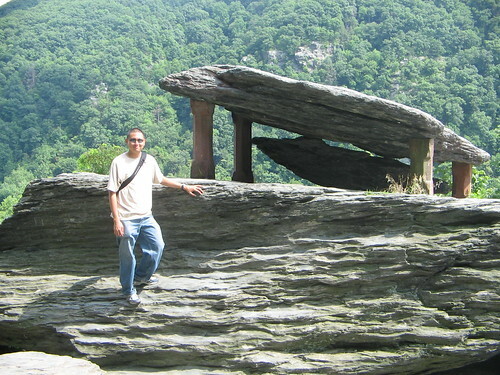 More photos here (a few of which will be highlighted in coming days in the photolog), and more on hiking in the Harpers Ferry area here.